I'm an experimental psychologist and computer scientist by training (not to mention pastry chef and wine educator!). I work as an Assistant Professor at the Department of Food Science at Aarhus University. My research examines multisensory flavour perception and preference, with on a focus on how environmental (like background music) and cognitive factors (like expertise) can modify and enhance the way we perceive food and drink. I completed my PhD at the Crossmodal Research Laboratory at the University of Oxford, where I specialised in sound-taste interactions. Before Oxford, I explored the intersection between music, food, design, and technology at the MIT Media Lab. My work spans psychological experiments, technological enhancements, and multisensory performances. My research in sensory perception is no doubt driven by my passion for wine. I am currently working on my WSET Diploma certification. I was president and varsity captain of the Oxford University Blind Tasting Society from 2015-2017. 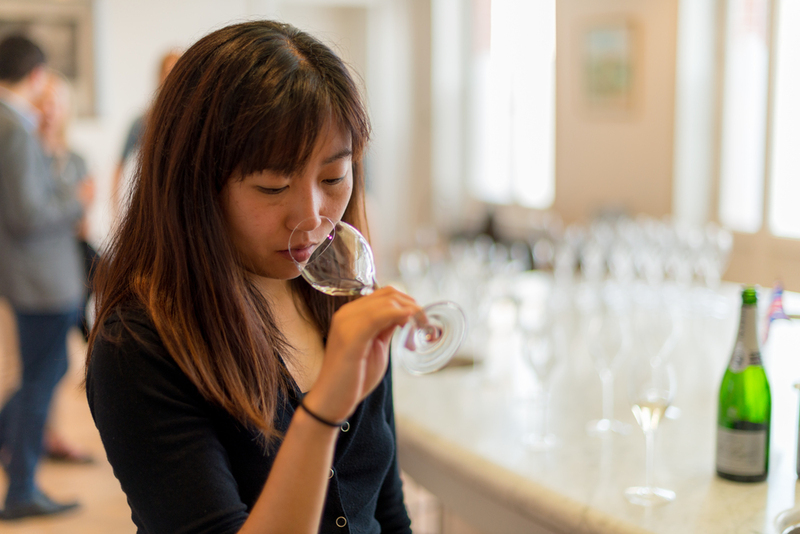 I regularly teach wine tasting and have completed the WSET educator course. I am a founding member of Crossmodalism, a movement that seeks to foster an appreciation of the full human experience in connection to its sensorial environment through collaboration across non-traditionally linked disciplines, ideas, and communities. I obtained my B.S. degree in Computer Science at Caltech. After a few years working as a software engineer, I decided to go back to school to pursue my passion for sensory perception and cognition. I completed my M.S. at the MIT Media Lab, working with Tod Machover in the Opera of the Future group. I completed my DPhil (PhD for the rest of the world) in Experimental Psychology at the University of Oxford with Charles Spence. I take an interdisciplinary approach to studying multisensory flavour perception and preference. I am interested in the role of the brain flavour system and its connection with eating behaviour, in order to gain a deeper understanding of why people eat what they do, and to encourage behaviour change for a healthier, more sustainable lifestyle. My research has been published in journals such as Food Quality and Preference, Appetite, Chemical Senses, Multisensory Research, and Flavour. Beyond publishing, I have run installations and performances at museums around the world, such as the Peabody Essex Museum, Museo de la Universidad Nacional de Tres de Febrero, the British Museum of Food, and the Wallace Collection. I have also worked with industry partners such as Krug, Godiva, Codorniu, Bompas & Parr, Crown, Campo Viejo, and Deezer. My work has been covered by the The Economist, Financial Times, Jancis Robinson, La Revue du Vin de France, Le Figaro, La Nacion, GQ, etc. I am currently a WSET Diploma student. I was the president and varsity captain of the Oxford University Blind Tasting Society for the 2015-2016 and 2016-2017 academic year, and have competed in various international wine tasting competitions (Millesime, Pol Roger, X-Wine, Left Bank Bordeaux Cup, Cav'IT, Defi de Bacchus, etc). I regularly teach wine tasting and have completed my WSET educator training course.